The past week, a heart-rending image of an emaciated Nigerian toddler has been doing the rounds on the Internet. The starved, painfully thin child was seen gratefully sipping from a bottle of mineral water, held by the aid worker that rescued him was enough to tug on the heart-strings of the most hardened person. The reasoning behind how the situation came about aside, the image of this toddler, not much bigger than that bottle of water, drinking water from a safe, clean source is an arresting one. Because, more than a billion of the world’s children are unable to access the same. Clean, safe drinking water, the basic right of any living thing, is denied to these most vulnerable of our species. The same holds true for sanitation, as well. 1,00,00,00,000 children. No water. Or sanitation. Not-so-fun fact: A person in a developed country having a five-minute shower uses more water than the average person in a developing country slum uses for an entire day. I shall pause for a bit to let that sink in. Let me elaborate on the discrepancy. When I was a little girl growing up in Madras, summers meant desperate shortage of water, which meant rationing. Street after street, the wells dried up and the residents had to buy water from the Metro Water tankers. At the end of every street, Metro Water installed a blue rectangular tank (this was upgraded to the black Syntex tanks a few years later), from which the water for a whole street would be dispensed. This tank would be topped up every couple of years so a family had to survive on 3-4 buckets of water, regardless of the number of members. When you had one mug of water for your morning ablutions, you learn pretty quick to not waste a drop. The day’s washing up was done with minimal wastage of water, as well as the rest of the chores. Now, though, the water situation is not so dire, especially where I live and I see my maid happily keeping the taps open as she cleans the sink and around. Reminding her to do so is a regular task but the important detail is that the need to be aware of how much water one is utilising and wasting has slipped in its importance. 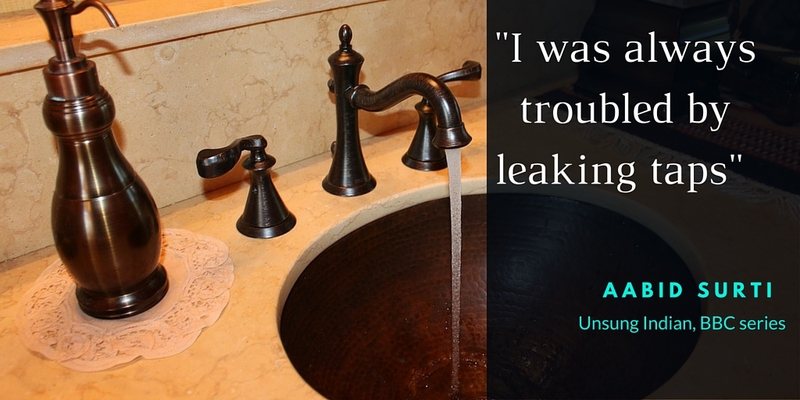 Turning every tap off in your home may seem like a small thing but everything adds up. It is the little drops that get together to make an ocean. Next time you are tempted to let your water run over, thinking of the little kiddies around the world that are dying for lack of water. This entry was posted in Water Stories. Bookmark the permalink.